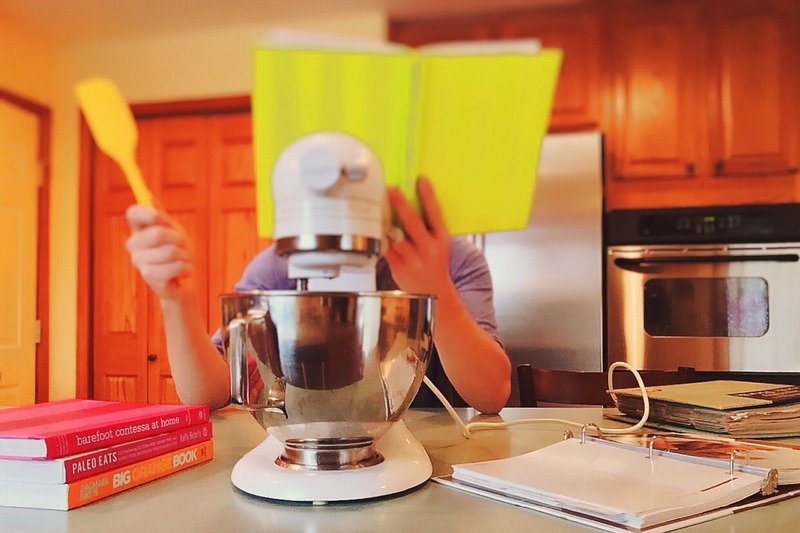 As the 13th series of Masterchef comes to a dramatic close (don’t worry – no spoilers here) we got to thinking here at World of Books, what are our go to cookery books and recipes? What are our signature dishes? Now we’re not claiming to be gourmet guru’s here, but like any normal office, we talk about food a lot. What’s everyone is having for dinner, what restaurants we like, what we should have for lunch etc… Plus, a recent dairy intolerance diagnosis has sparked a whirlwind of alternative recipes and ideas of new dishes to try. So, what cookery books are we all using at the moment? And what recipes do we recommend you try? Well of course we are. Most of the human world has heard of the cheeky chappy who burst on our Instagram feeds with 15 minute meals and workouts. He’s incredibly popular. Why? Because his recipes are really tasty! They’re simple and quick to make and don’t involve too much faffing around. No wonder his books have sold millions. Easy Peasy Paella – This dish is just heavenly, I have always thought it would take a lengthy time to make such a hearty meal but with his meals they genuinely take 15 minutes! Now Joe’s recipe has prawns in and as a non-lover of fish, I substitute them for chorizo instead. We are always making this in our house because it is so quick and easy and with the recipe split for one/two people it can easily be adapted for more guests when entertaining. This book is fantastic for people who want to eat healthily but still want a hearty meal and to feel like they’ve actually eaten something (not reaching for the biccie tin at 9pm as you’re still hungry). The recipes are all designed to help you maintain a healthy diet and also to help boost your energy. The ingredients can be a little tricky to get hold of and can also be a little pricey, but it’s definitely worth a look. Blueberry Pancakes with Cashew Mango Cream – this dish is just delicious and perfect for a nice brunch or when you’ve had people stay over. They’re guaranteed to be impressed by your culinary skills. Just remember to soak the cashews overnight! This book accompanied a hugely popular TV series and we can certainly understand why. A wholesome, tasty and simple meal cooked in just 30 minutes? Yes please! Admittedly, getting it all done in a 30 minute timeframe is hard and you may need a lie down afterwards but generally we consider ourselves winners if we manage to get it done under 45 minutes! Pasta Pesto with garlic and rosemary chicken – This dish is great as it uses fresh lasagne sheets instead of dried pasta, which makes it quicker to cook and looks great on a sharing plate. I tend to make a big batch of pesto anyway which I freeze into blocks, so I use that here. However, the recipe for this pesto is equally good. This is one of very few I can get done in 30 minutes, so always a go to for our family! Sri Lankan vegetable curry with brown rice – I love it because it’s a very fresh curry but it’s nice and light. The recipe is also really adaptable depending on your own tastes, and you can also chop and change depending on what veggies you have at the time. It’s also good for veggies because if you are adding fish, it goes in for the last few minutes so really easy to do some with and some without. This book has 100s of exciting recipes you need to try. Whether you’re cooking at home for your family or entertaining guests at a dinner party. Everything is covered, from light lunches to sumptuous desserts, like the classic we’ve picked out for you below. White chocolate and raspberry cheesecake – As a cheesecake lover, this recipe never disappoints. It’s absolutely delicious! And it looks fantastic too. Thankfully, it’s not too tricky to make and there are very few ingredients and it’s all easy to get a hold of in a local supermarket. You don’t need to visit any specialist shops or order online. Please read these Terms and Conditions carefully prior to participating in World of Buzz trading as World of Books Prize Draw (the “Prize Draw”). By participating in the Prize Draw each participant fully and unconditionally agrees to and accepts these Terms and Conditions. Eligibility for Participation: The Contest is only open to individuals (referred to as “Participants”) Participants must be (i) a resident of the United Kingdom and (ii) over 18 years of age. Participants will only be entered into the contest once and are only allowed to win a prize of £50 worth of cookbooks. World of Books employees and their immediate family are not permitted to enter the Prize Draw. Access to Contest: The Participants enter the Contest by commenting on this blog post, commenting on our Facebook post or wall or emailing competition@worldofbooks.com by 31st May ’17 with their favourite cookbook and the recipe they enjoy most in that book. World of Books does not accept responsibility for network, computer, hardware or software failures of any kind, which may restrict or delay the sending or receipt of your entry. Winner is announced: Those selected to win the prize will be informed on 02/06/17. Winners of all prizes will be notified via Facebook, email or comment on the blog. 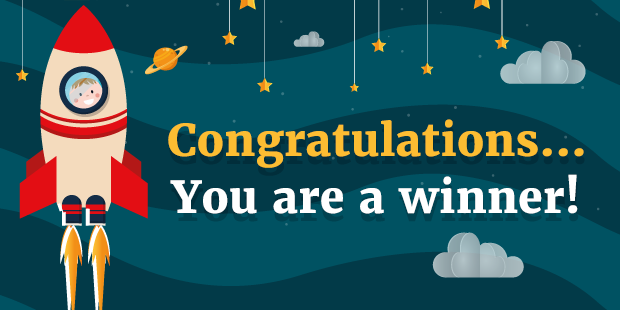 If the winner cannot be contacted within 48 hours of the terms of the notification, another entry will be selected and the original winner will forfeit any prize. 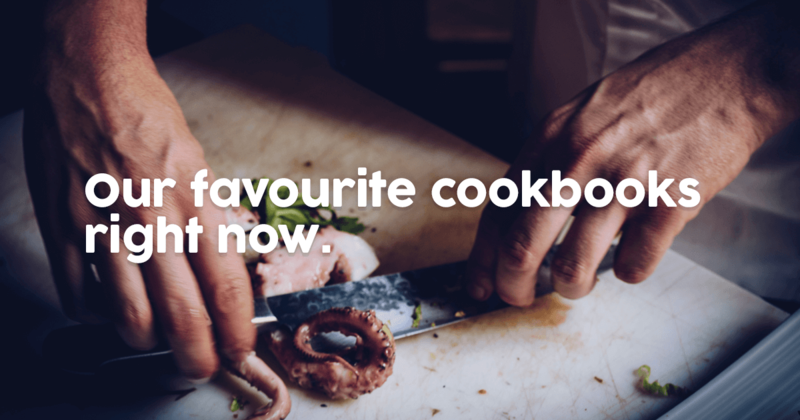 The Prize: £50 worth of cookbooks selected from the World of Books inventory. Prize cannot be transferred or exchanged. The Prize is non-transferable, non-refundable and non-negotiable. The promoter’s decision is final. World of Books reserves the right to amend the prize or offer an alternative of equal or greater value. Selecting winners: The winner will be selected at random by the World of Books Jury. The Jury’s decision is final and no correspondence will be entered into in relation to this decision. Contest organizer: The Contest is organized by World of Books. World of Books is not responsible for any lost, late, misdirected, stolen, illegible or incomplete entries. If, for any reason, the Prize Draw is not capable of running as planned, as a result of any causes beyond the control of World of Books which corrupt or affect the administration, security, fairness, integrity or proper conduct of the Prize Draw, World of Books reserves the right at its sole discretion to cancel, terminate, modify or suspend the Prize Draw and/or select winners from all eligible entries received prior to the cancellation. World of Books reserves the right to (i) withdraw the competition (ii) cancel or change the promotion, (iii) cancel or refuse any individual’s entry and (iv) amend these terms and conditions at any time if circumstances make this necessary. World of Books reserves the right at its sole discretion to disqualify any Participant it finds to be tampering with the entry process or the operation of the Prize Draw; to be acting in violation of these Terms and Conditions; or to be acting in an unsportsmanlike or disruptive manner, or with intent to annoy, abuse, threaten, or harass any other person or contestant. World of Books is not responsible for any incorrect or inaccurate information, caused by any of the equipment or programming associated with or utilized in the Prize Draw or by any technical or human error which may occur in the processing of submissions in the Prize Draw. World of Books is not responsible for any injury or damage to any Participant or to any computer related to or resulting from participating or downloading materials in connection with this Prize Draw. Copyright: Upon submission, contest entries become the property of World of Books and each Participant relinquishes any claims of ownership or rights therein upon submission of their entry into the Contest. Entries may be shared on the World of Books social and email channels as part of the competition. 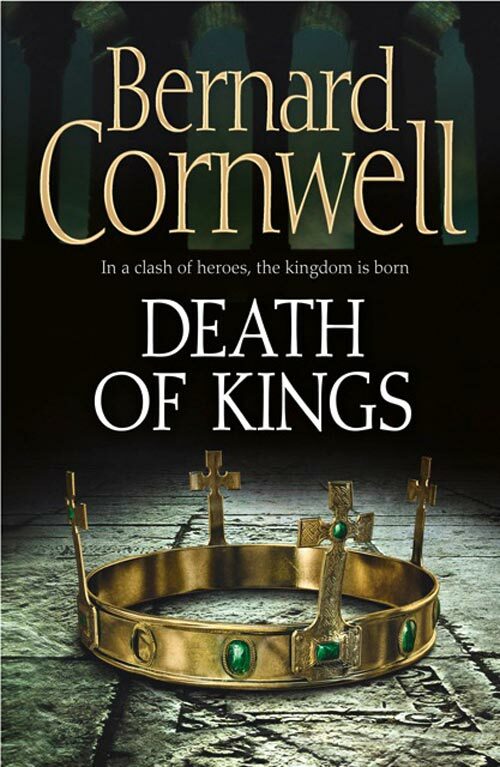 We have a copy of Bernard Cornwell’s new book ‘Death of Kings’ to give away in hardback! To enter simply leave a comment on this post with your name and email address. We will pick a winner on October the 5th at random. You can read our interview with Bernard Cornwell here or if you are looking for second-hand books just click here! Melvin Burgess and Hallie Rubenhold winners announced! Thanks to all who entered the World of Books big book giveaway, we have chosen the winners out of a hat and we are happy to announce the winners! Sorry for those who entered and didn’t win, we will have plenty of competitions in the future so keep an eye on the blog! Thank you to Melvin Burgess and Hallie Rubenhold, who were great to interview and generously gave us these copies to give away. Please bear in mind we are in the UK, so if you are a winner in the USA allow time for delivery.